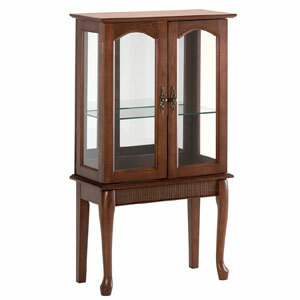 Wood curio cabinet with glass doors, glass shelf and a mirrored back. Some assembly required. Birch veneer; alder legs. (Cabinet contents not included). 22 In. x 11 In. x 39-1/4 In. high.